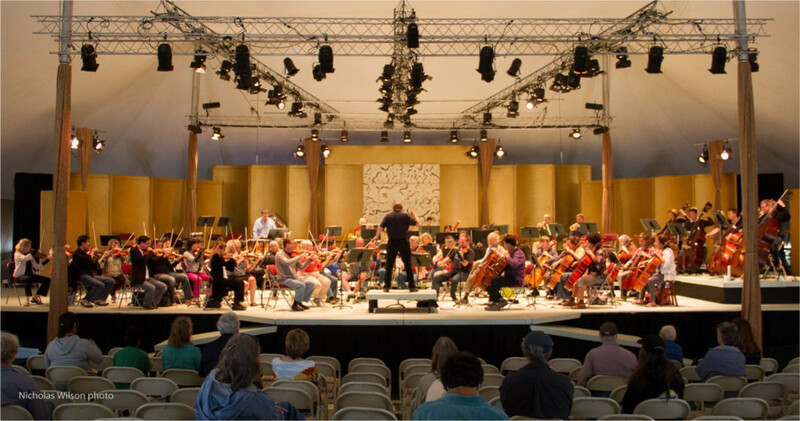 You are invited to attend Festival Orchestra rehearsals in the Tent Concert Hall. Performances are all the better for having heard the process of creating them. The rehearsals are also a wonderful way to introduce children to the glories of orchestral music. Come in at any time and stay as long as you like. Rehearsals are free, but we welcome the small and not-so-small donations most visitors make.